Today we welcomed the BBC Bitesize Careers Tour into school. 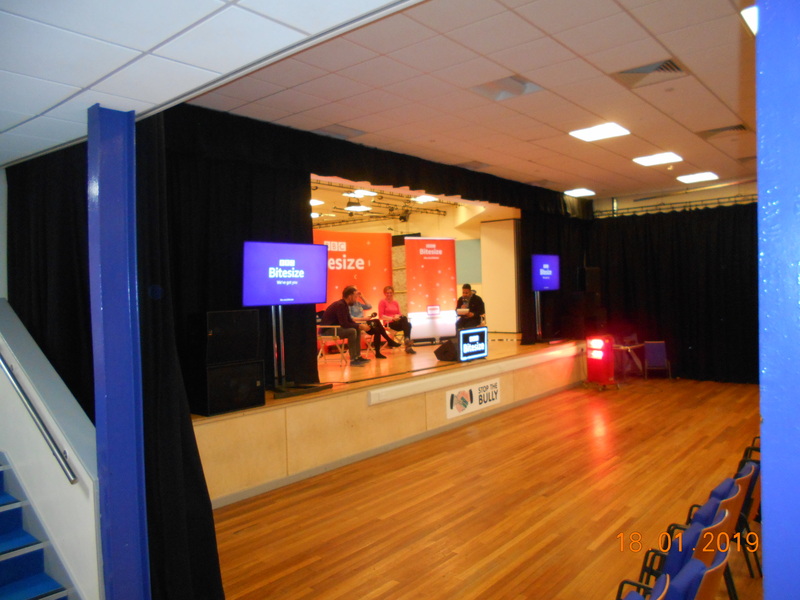 The BBC are currently delivering a national roadshow to 50,000 students across the country to raise the awareness of careers and employability. Year 9 and Year 10 students were given the opportunity to listen to a panel discussion, followed by a question and answer session in the Hall. The guest panellists began by talking to students about their chosen career paths from school, further education and first steps into their career. 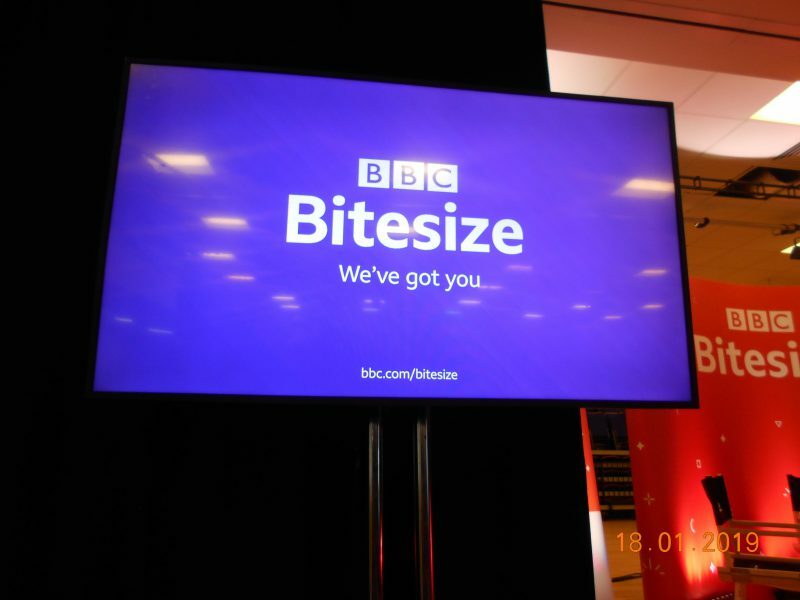 The sessions were hosted by the BBC Radio 1xtra DJ, Mim Shaikh and the panellists were colleagues from the TV Production Company ‘True North’. The panellists came from different backgrounds and had different professional roles, so the students received a great insight into how they decided upon their chosen careers and the skills and attributes that were necessary for them to succeed. 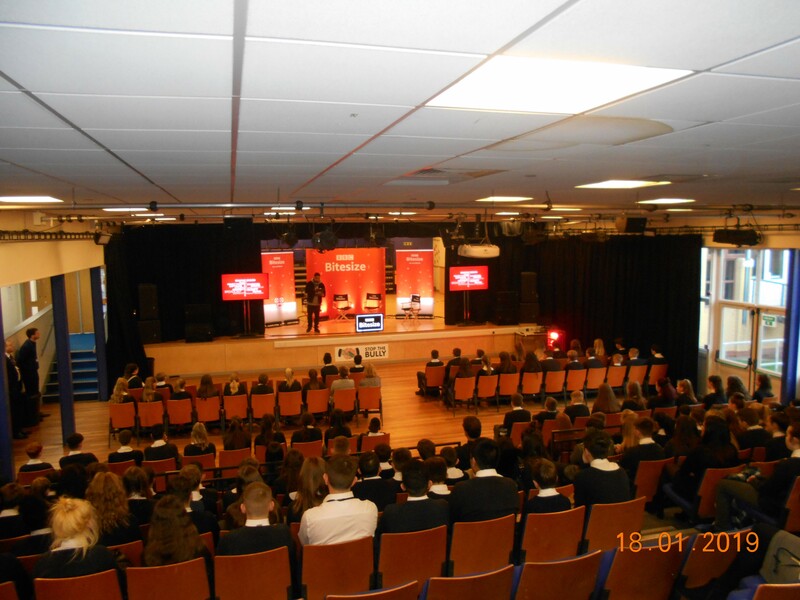 Our students really enjoyed the sessions and asked some really great questions of the panellists. Well done everyone for taking part and for welcoming the BBC into school!